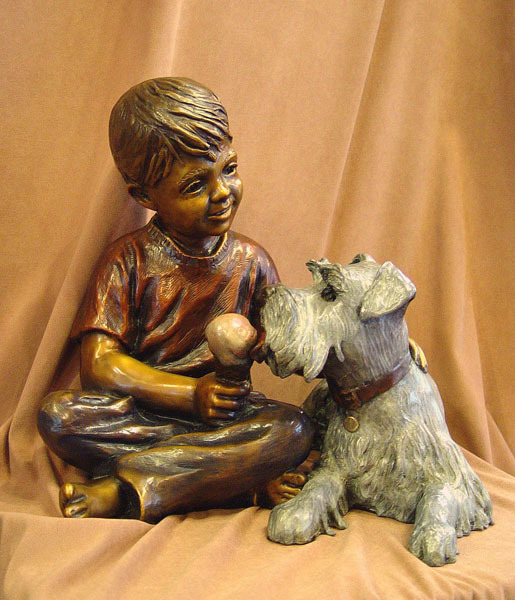 Life as an artist has been rewarding for Marianne Caroselli. 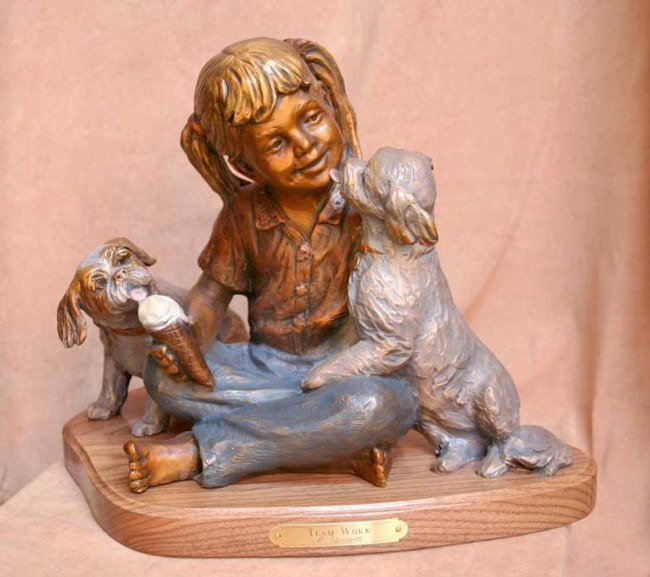 At age 10 she started her own business making ceramics. 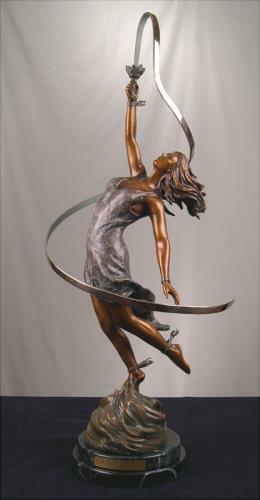 Caroselli attended the Newark School of Fine and Industrial Art receiving her degree in Interior Design. 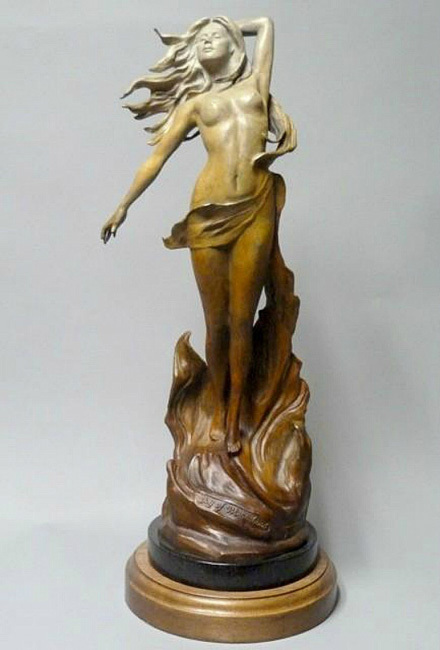 She practiced interior design, married and started her family. 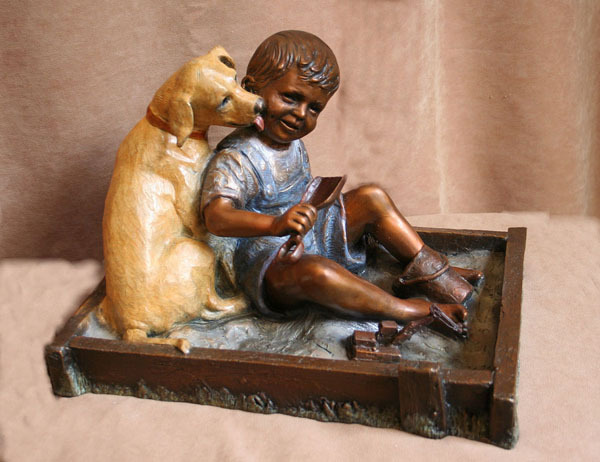 Caroselli continued her ceramic business for 15 years and it was during this time that she began to develop her talent in the art of painting. 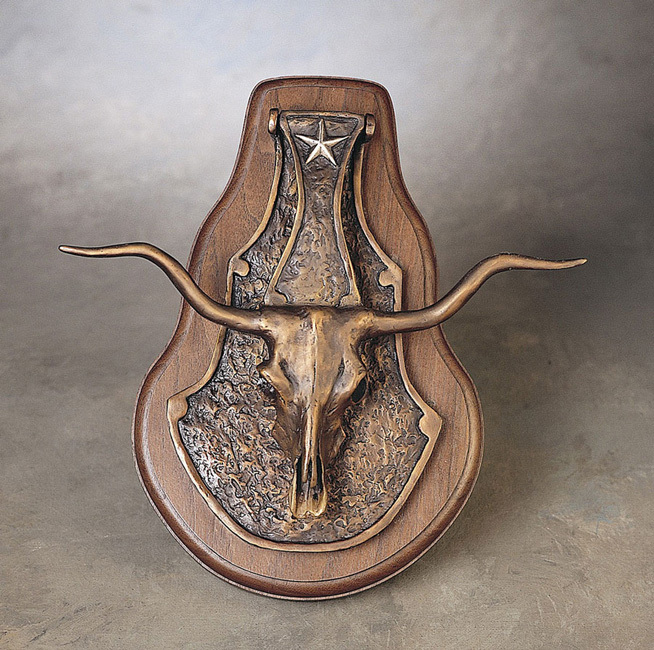 In 1972, Caroselli and her family of four moved from New Jersey to settle in the wide-open spaces of Texas. 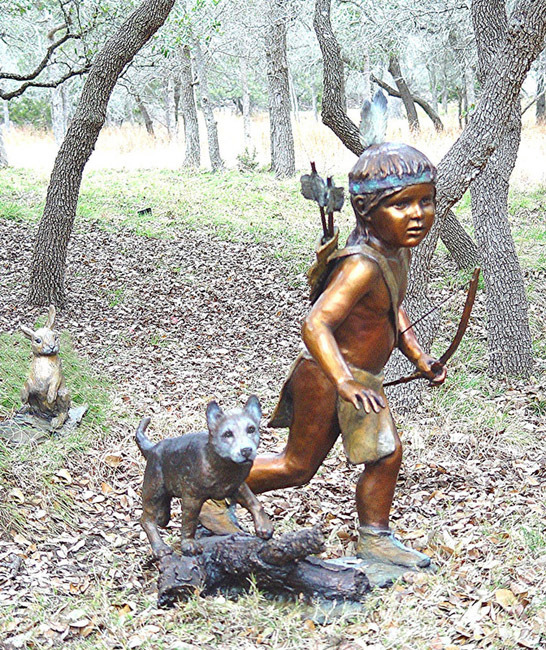 In the small “hill country” town of San Marcos they made their home and Caroselli established herself as a professional career artist. 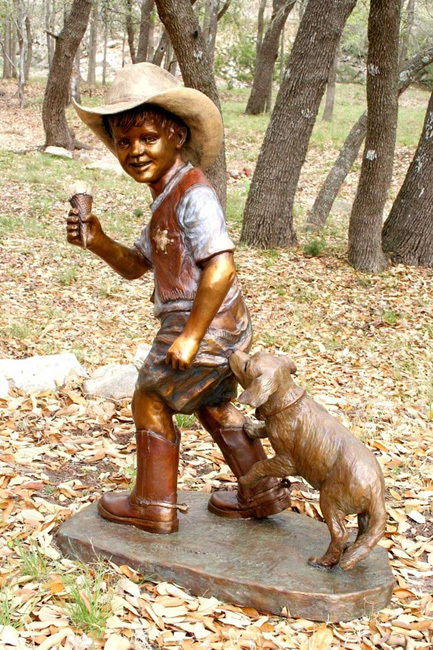 There were horses, cows, burros, dogs and cats on their small ranch that she used as her favorite subjects. 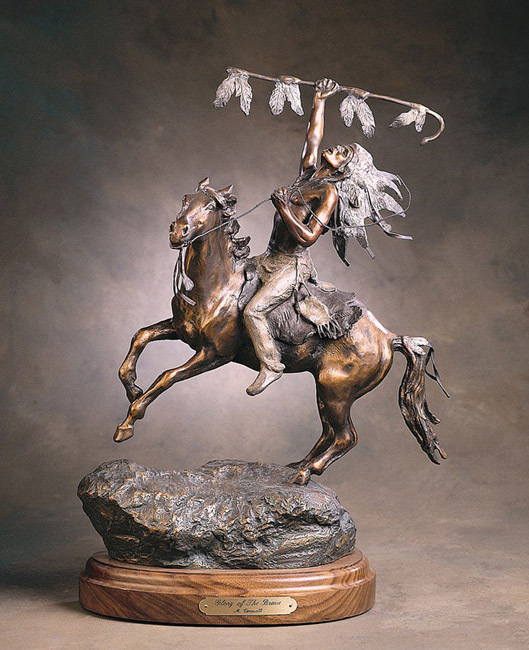 Leanin’ Tree, a prestigious greeting card company, selected her paintings to be reproduced on greeting cards. 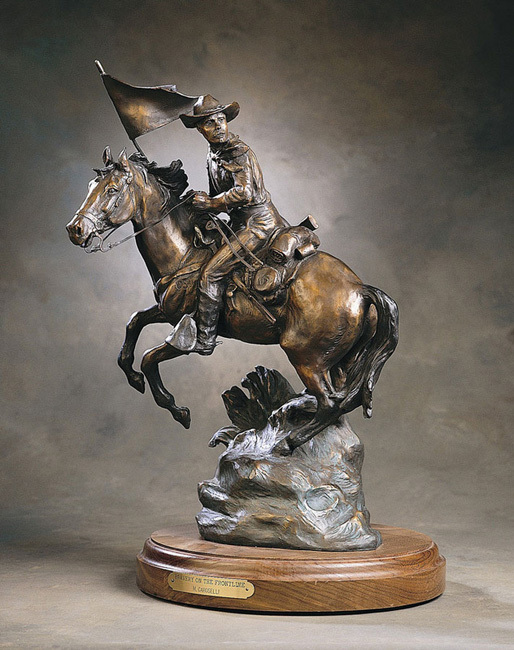 Artists of America and Cowboy Artist also selected her work for representation on their calendars. 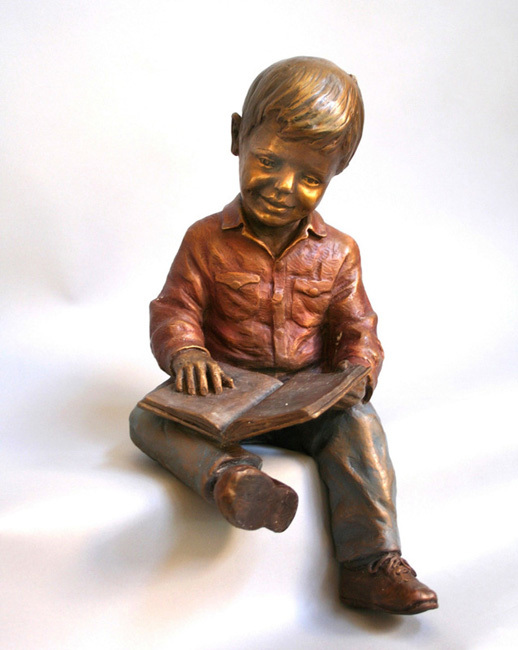 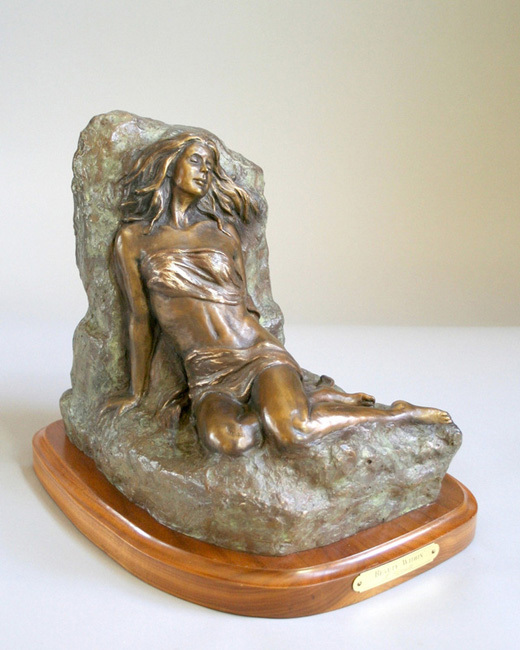 In 1979 Caroselli began to sculpt. 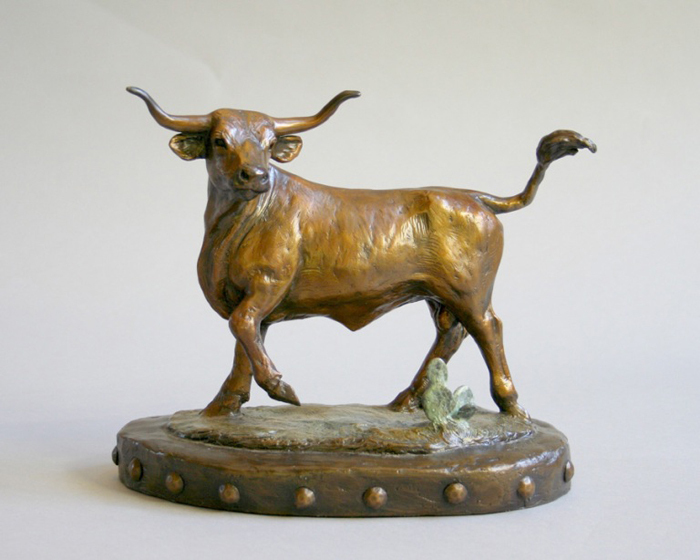 She studied with fellow artists and attended juried classes at the Cowboy Artists of America Museum in Kerrville, Texas. 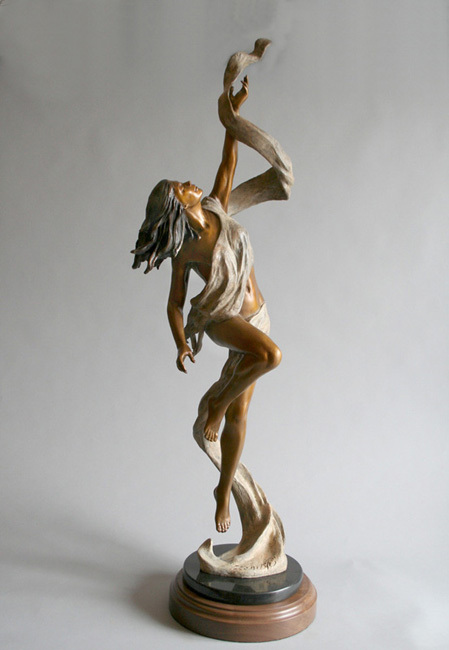 Totally in love with form, sculpting became the primary expression of her art. 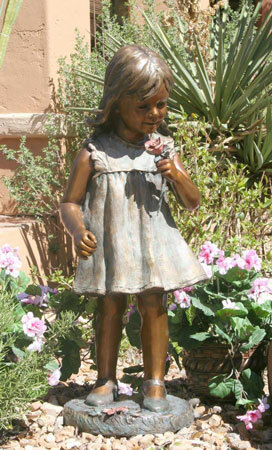 Caroselli now lives in a larger community, where she enjoys playing golf and tennis in her spare time. 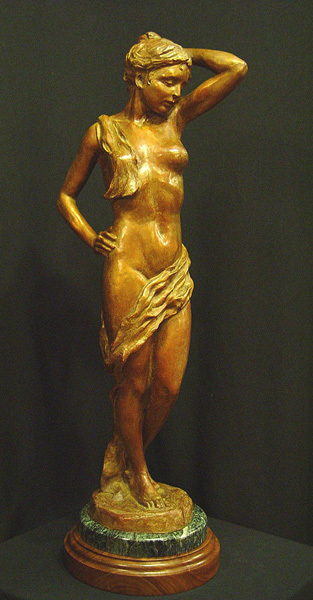 Her husband Edgar is an architect and designed their home and her spacious studio. 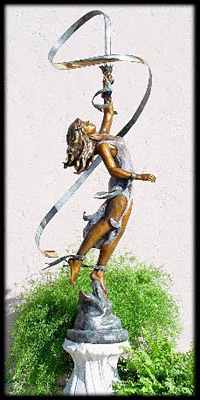 Look out her large studio windows and you will often see deer wander through the yard, which have taken up residence as well. 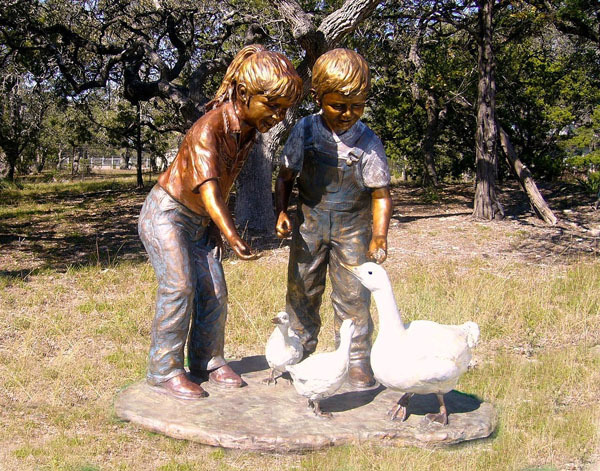 Caroselli’s children and grandchildren live close by and frequently visit. 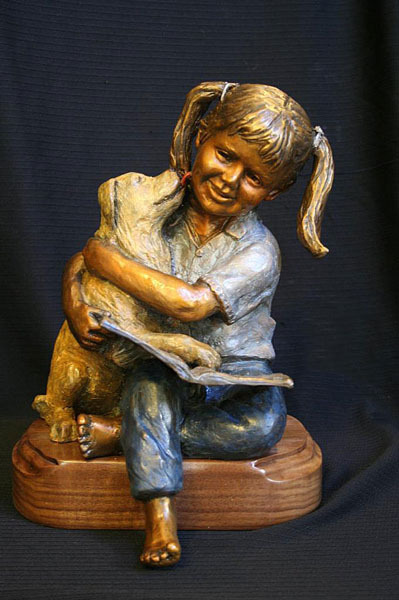 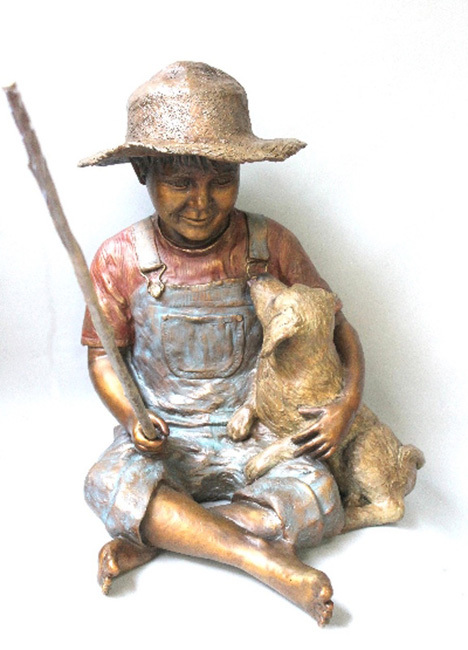 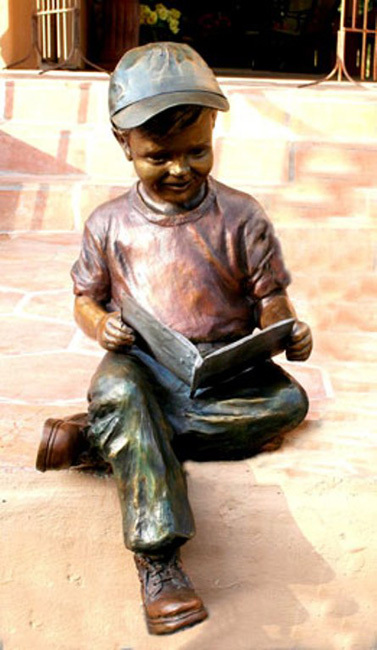 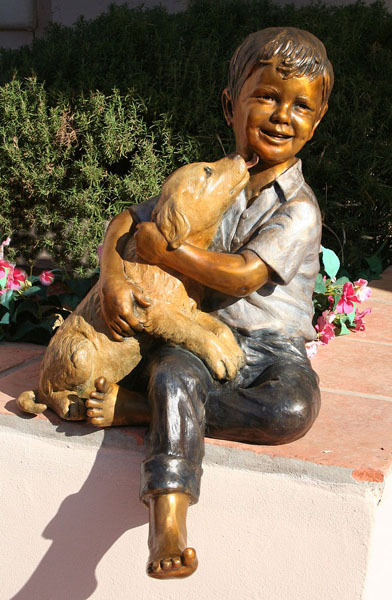 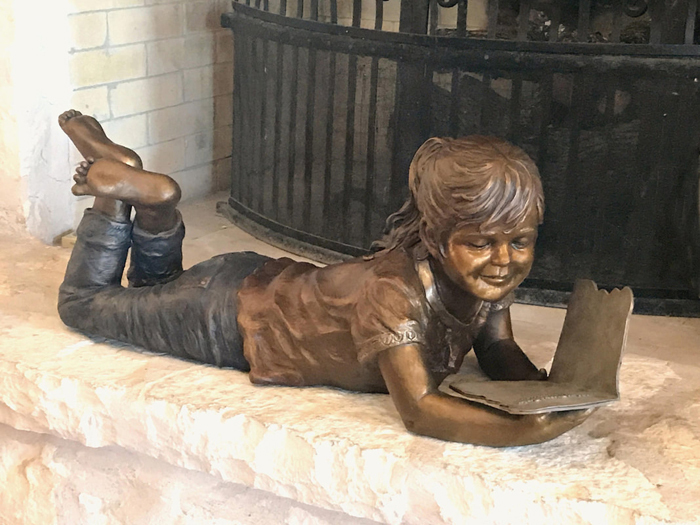 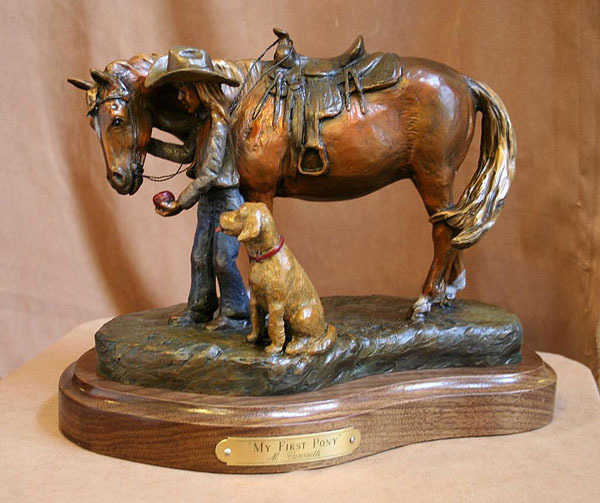 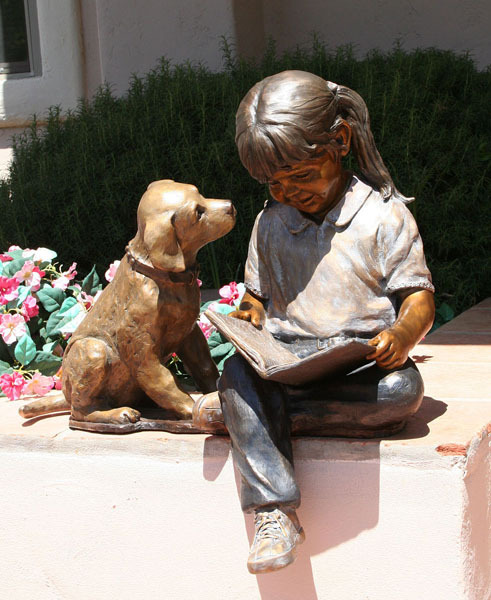 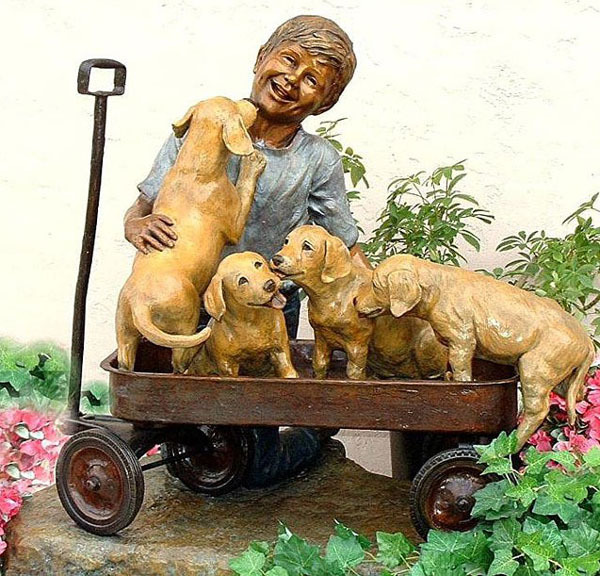 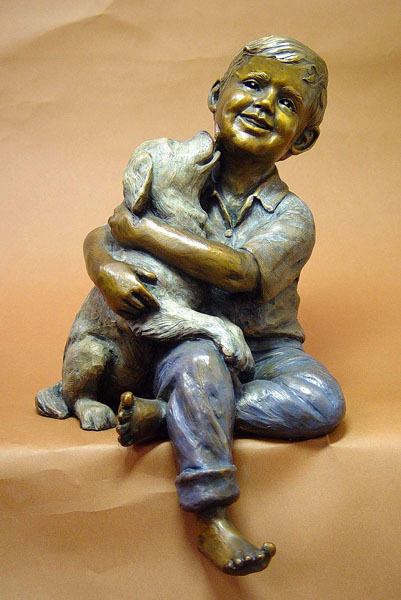 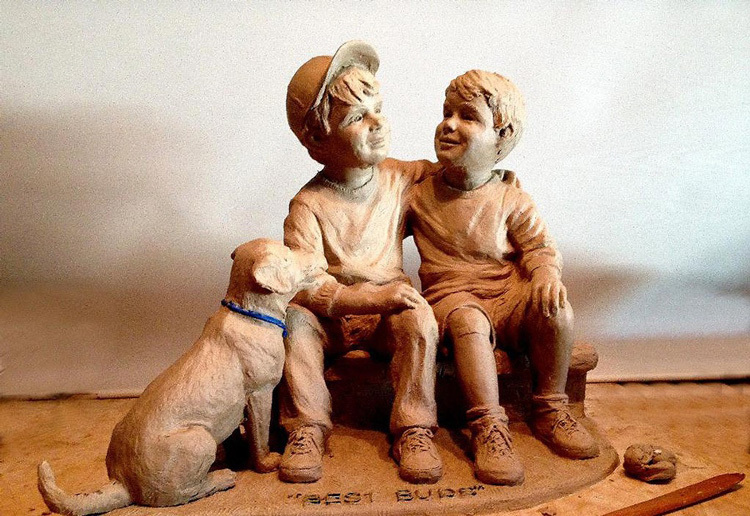 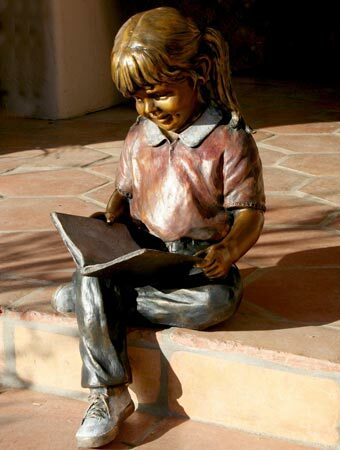 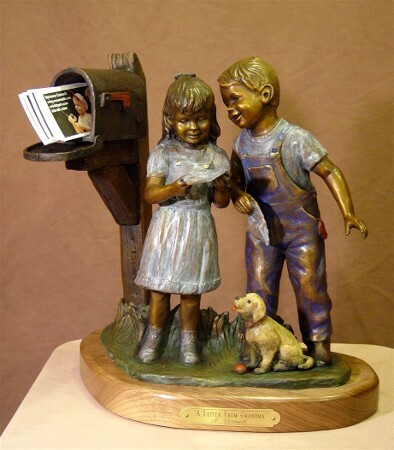 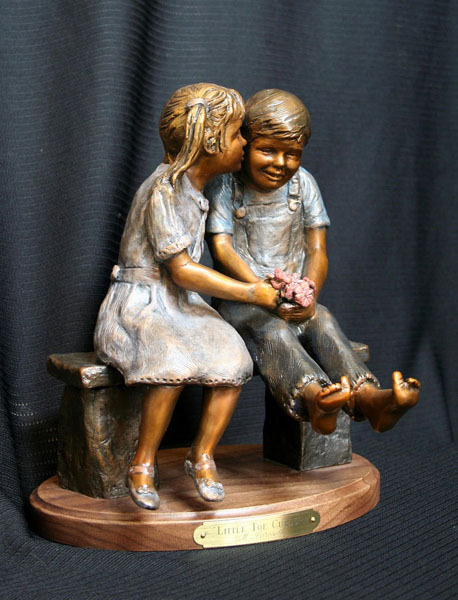 Her family and neighbors are the inspiration for her sculpture and are often the models. 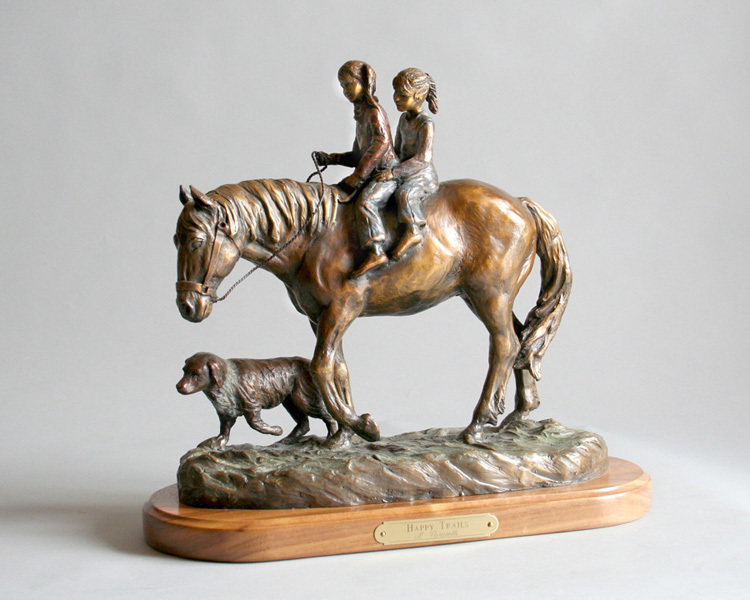 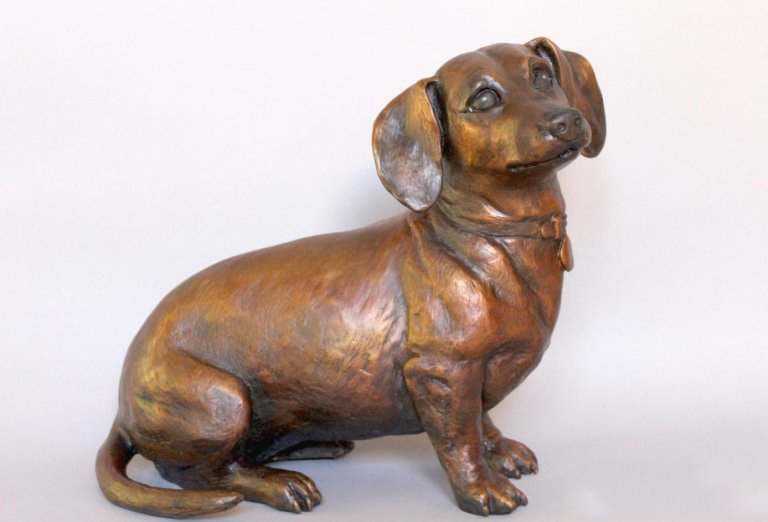 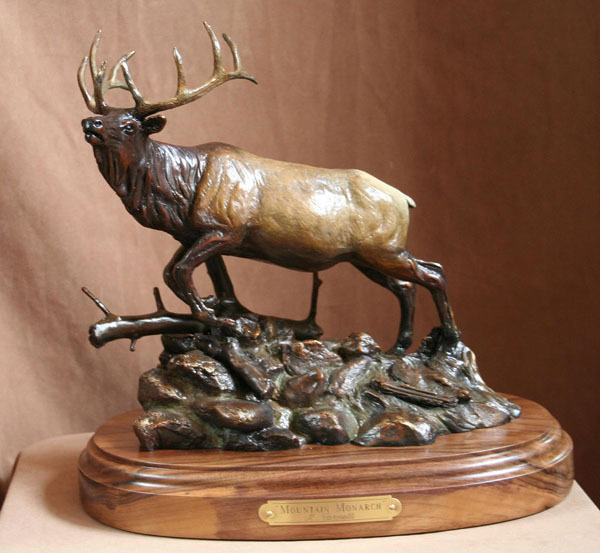 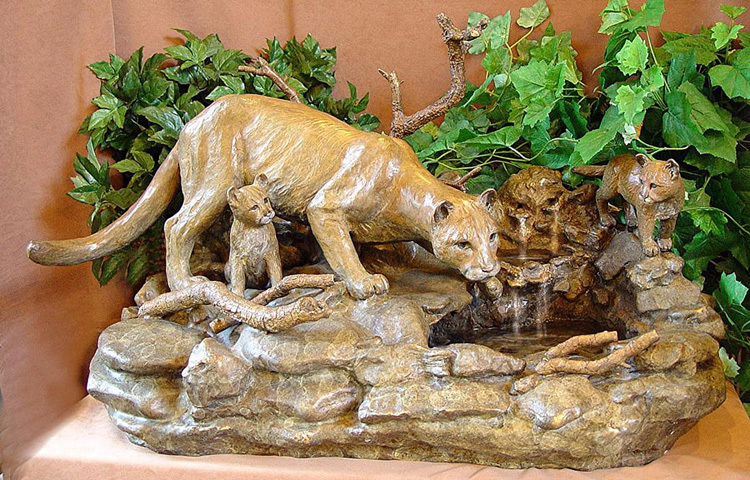 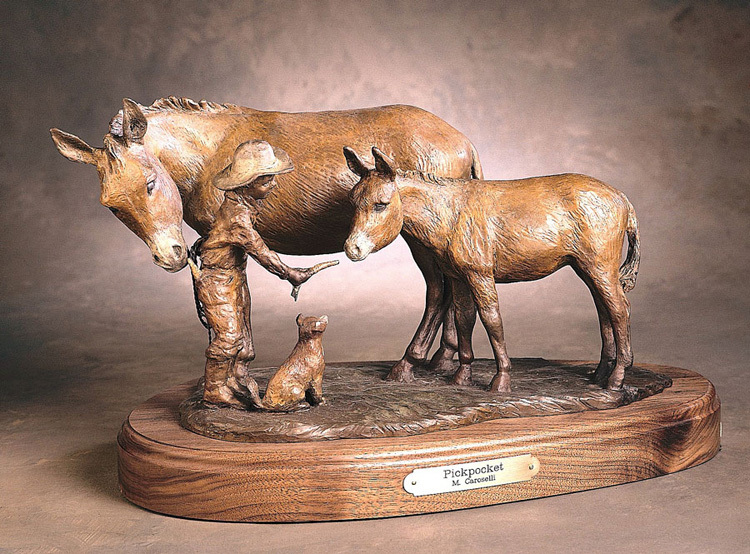 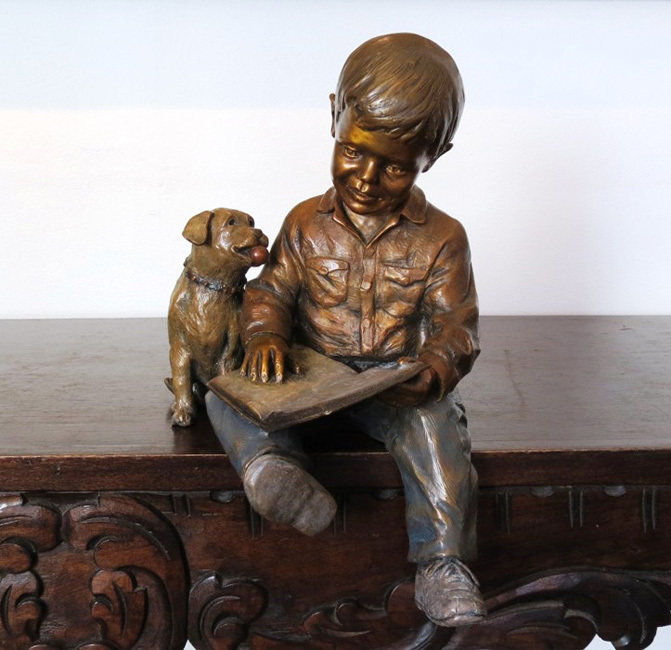 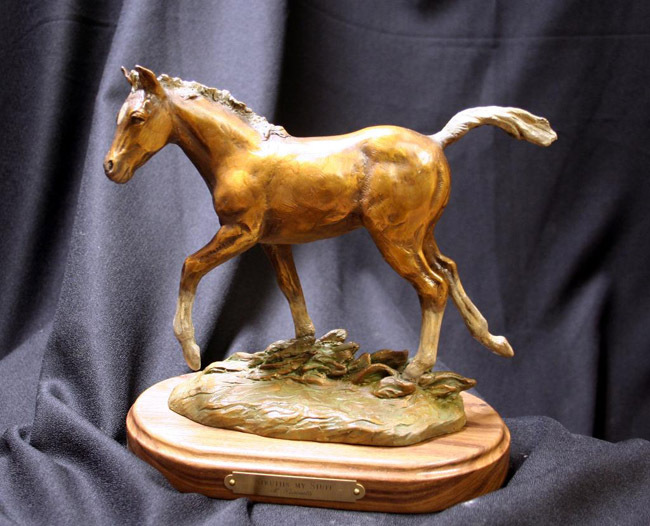 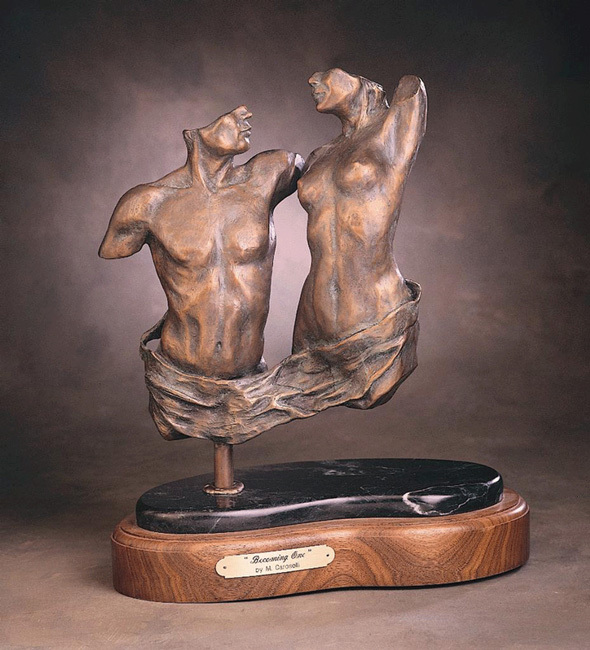 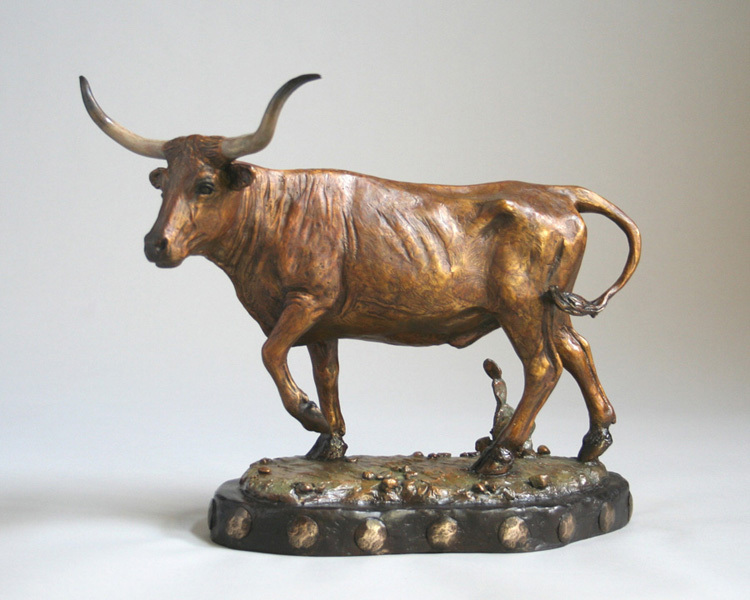 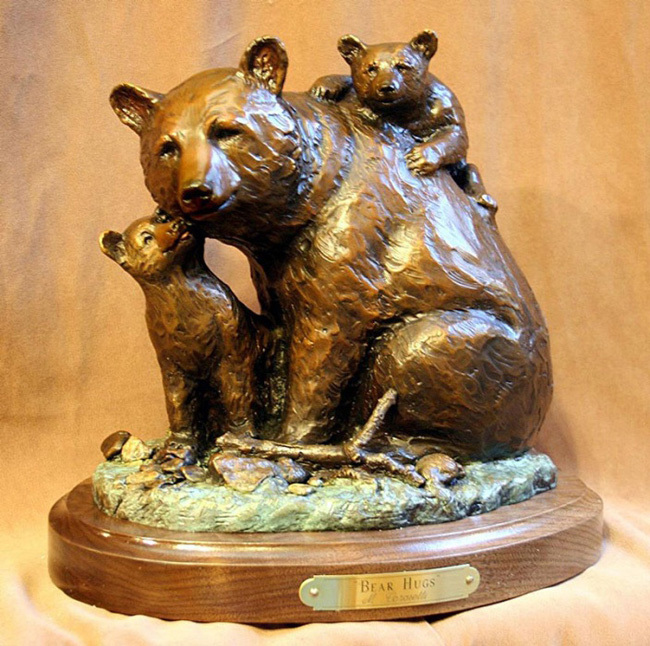 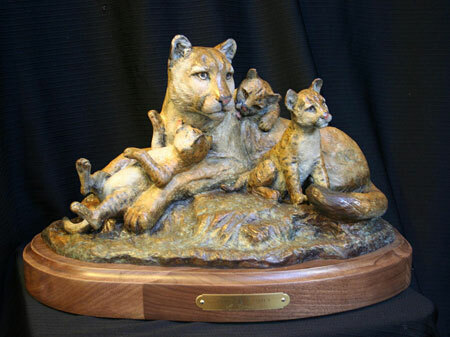 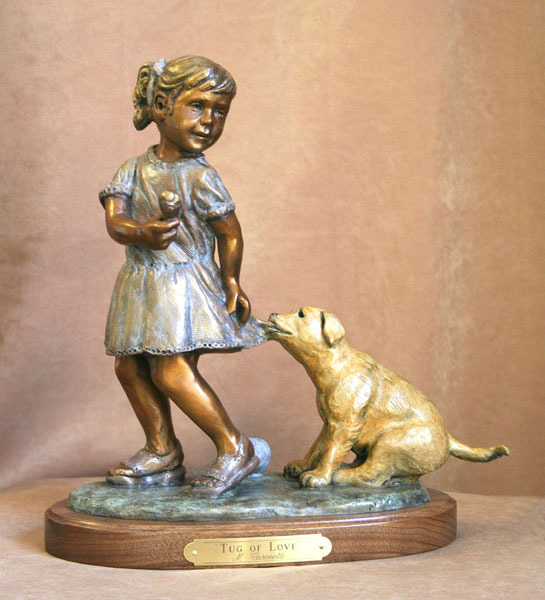 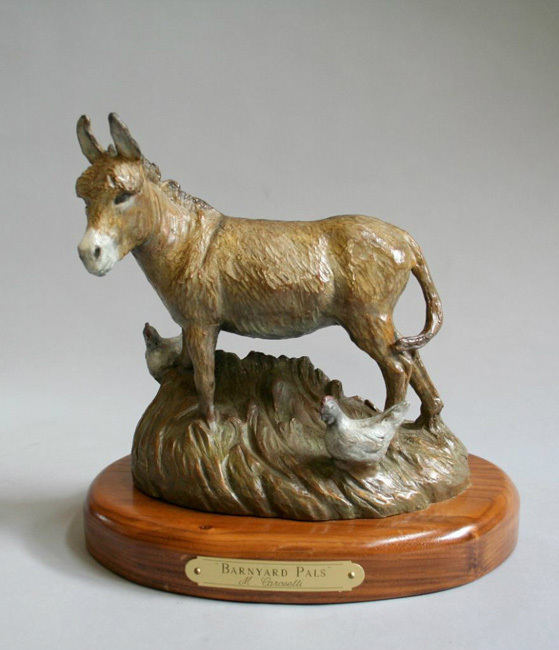 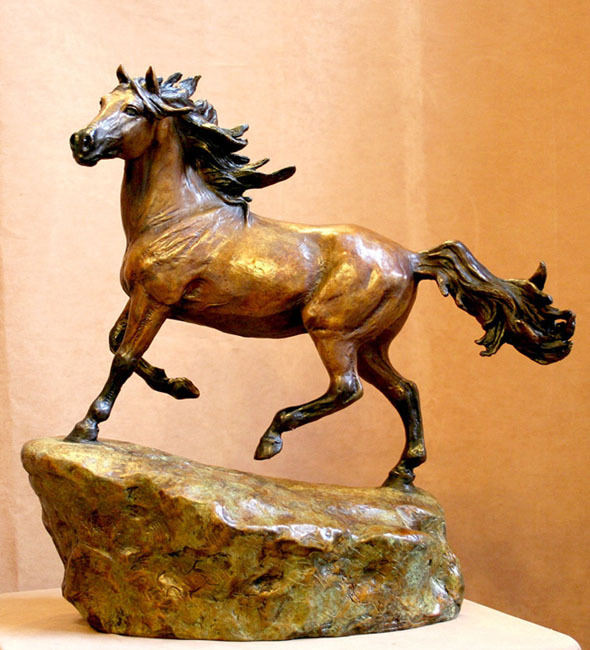 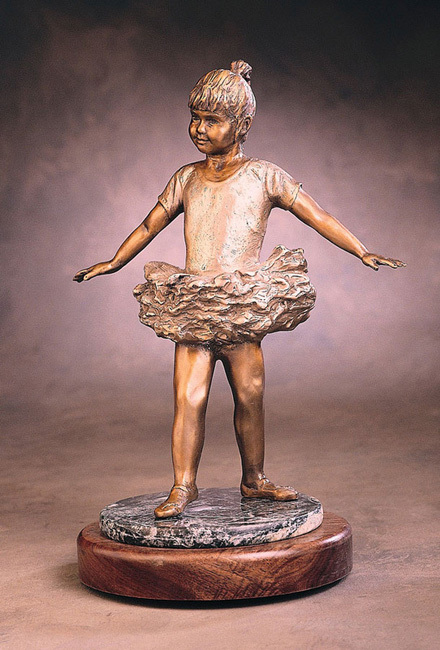 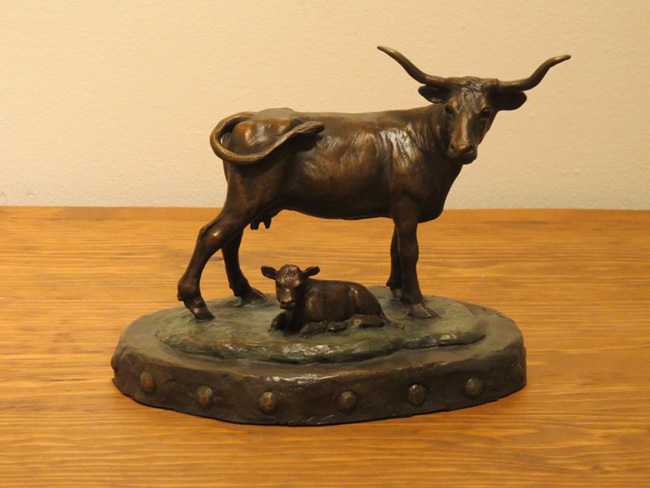 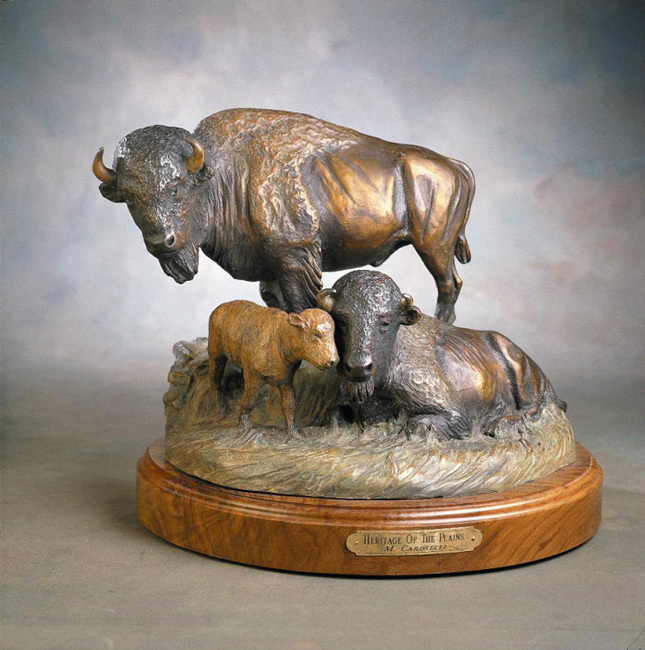 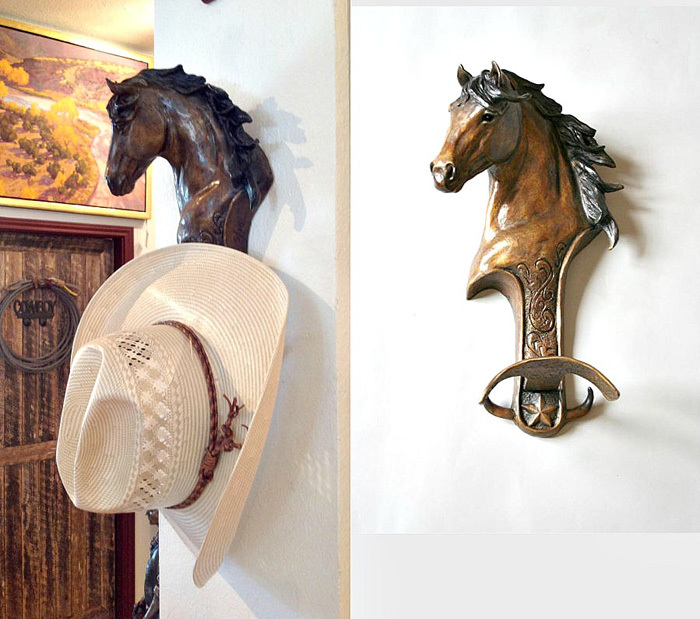 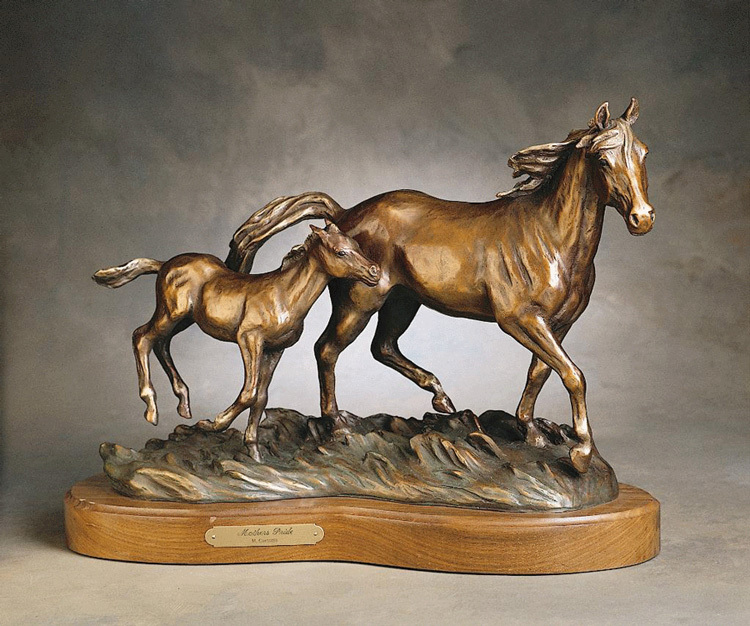 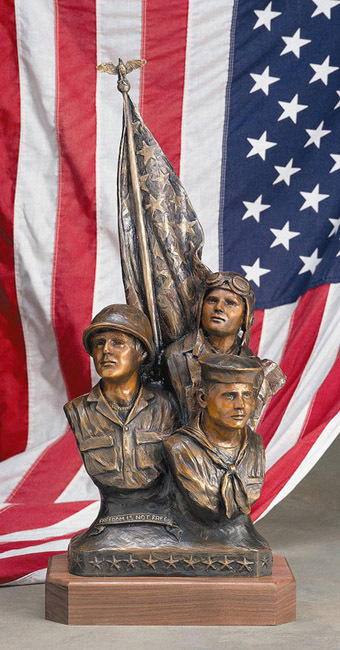 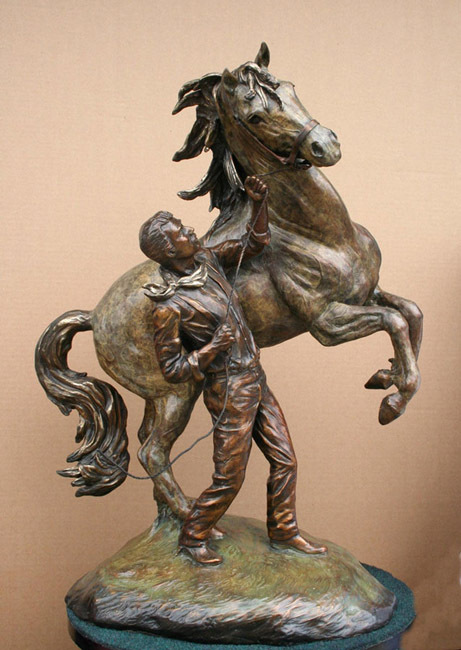 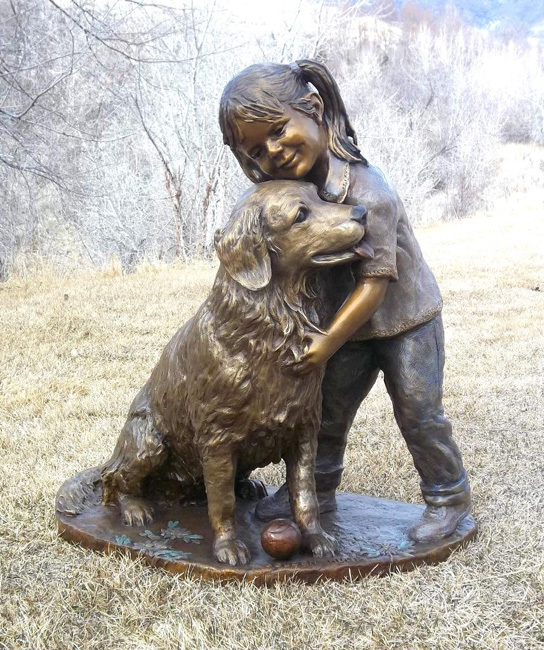 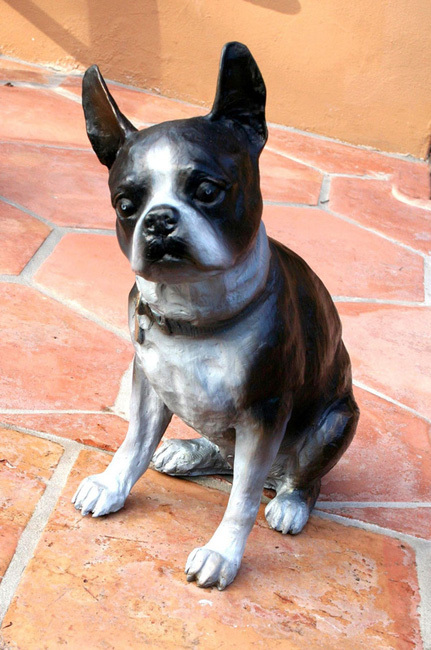 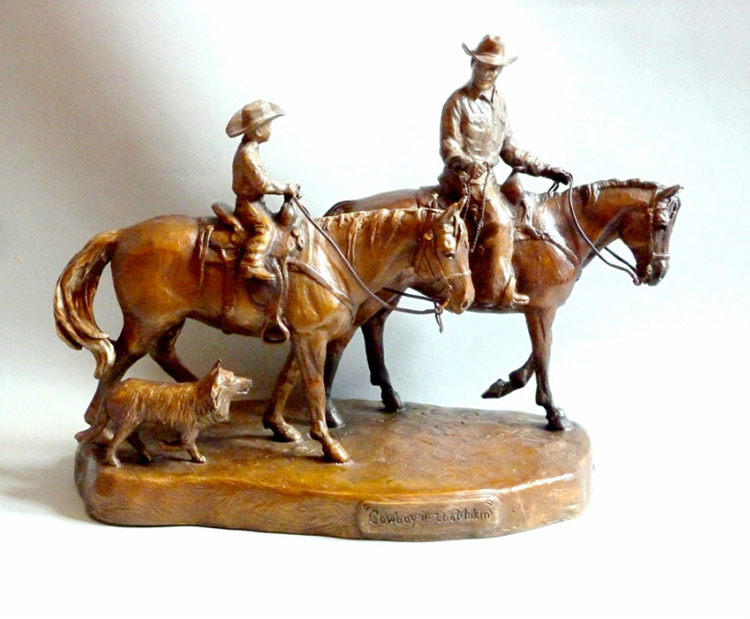 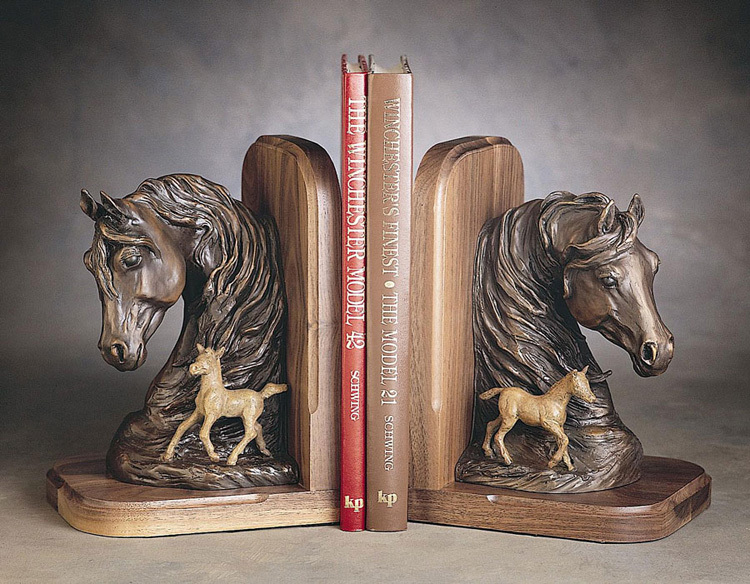 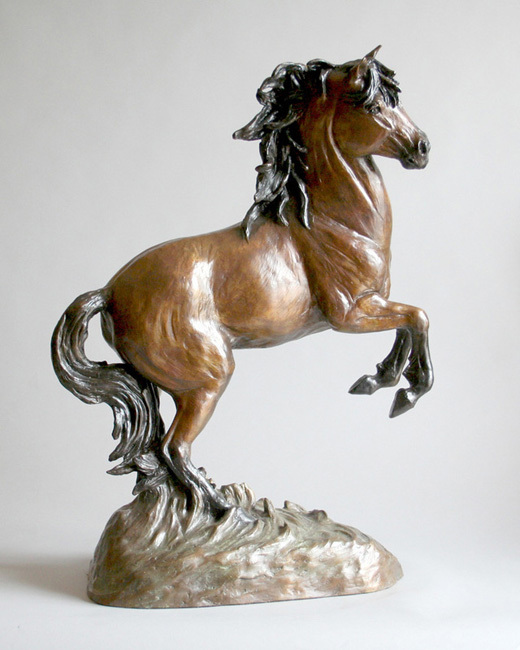 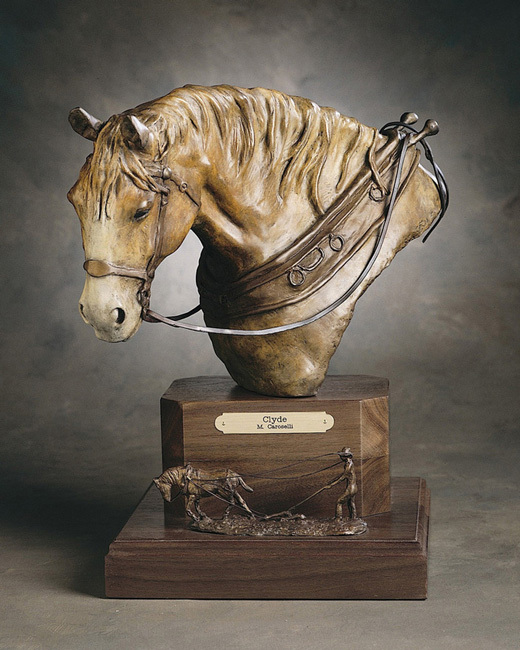 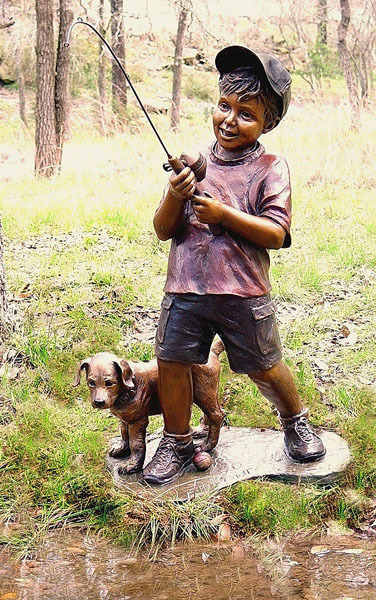 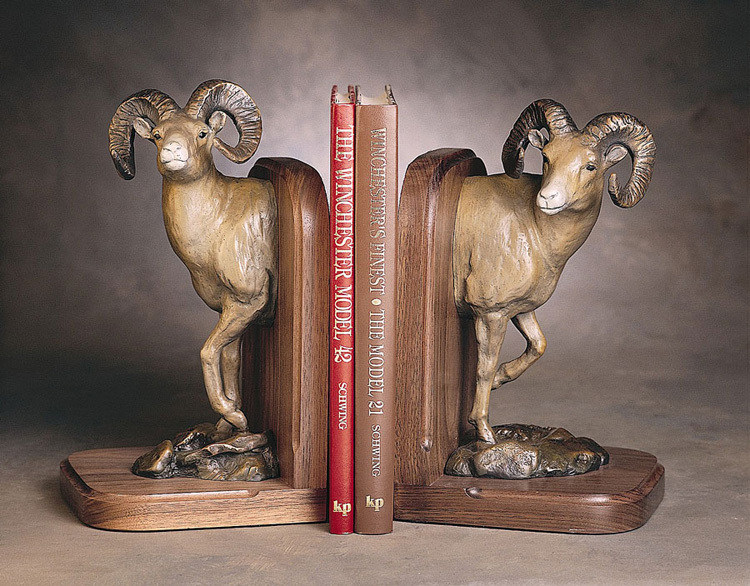 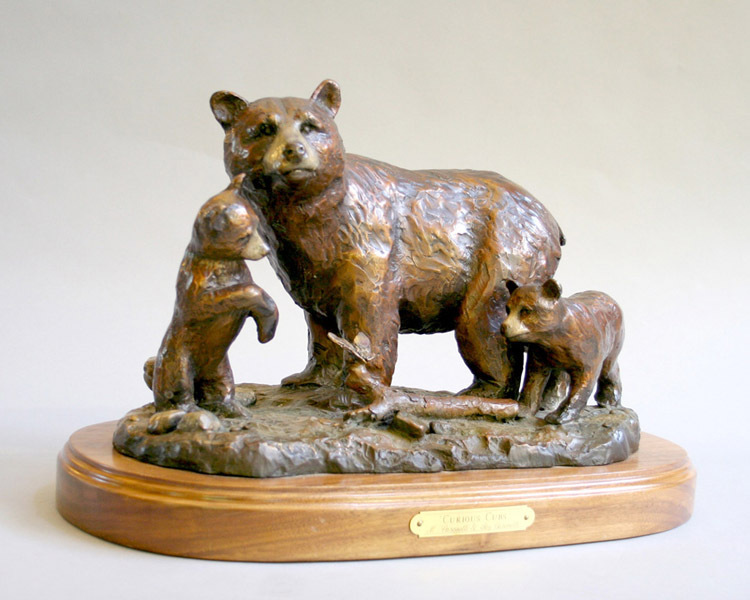 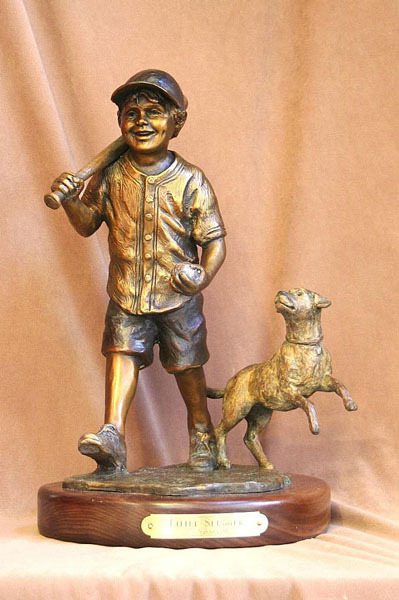 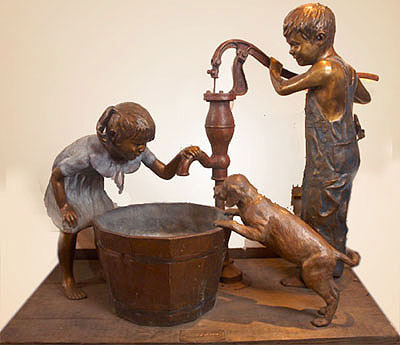 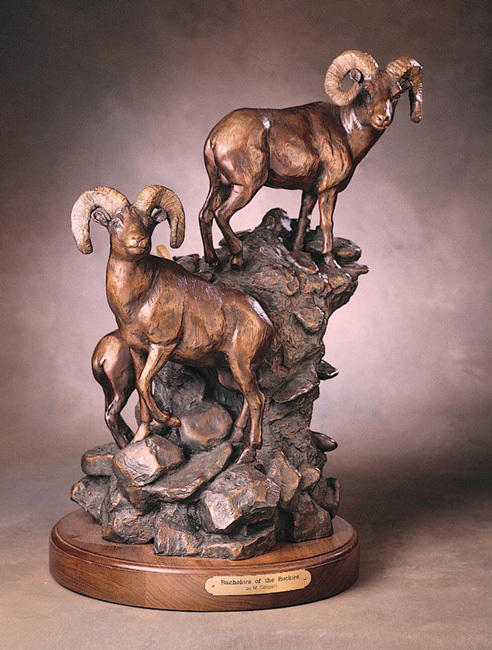 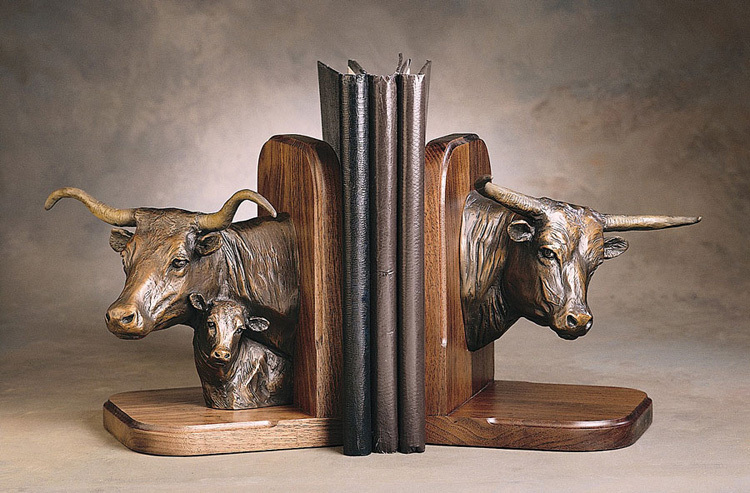 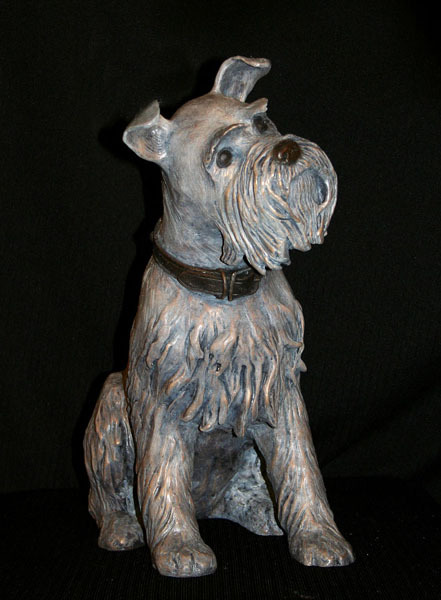 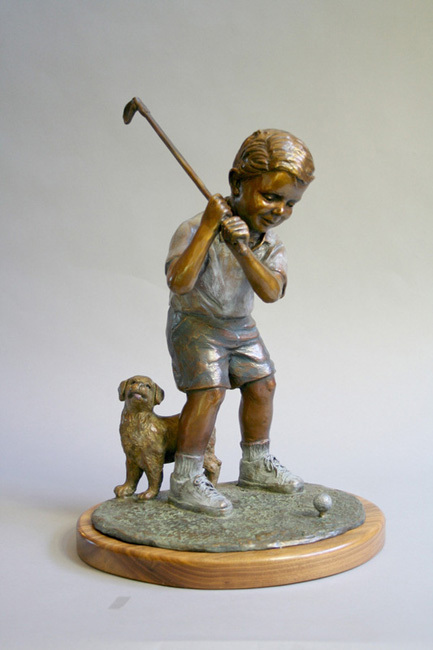 Caroselli’s bronzes range in size from tabletop to monuments. 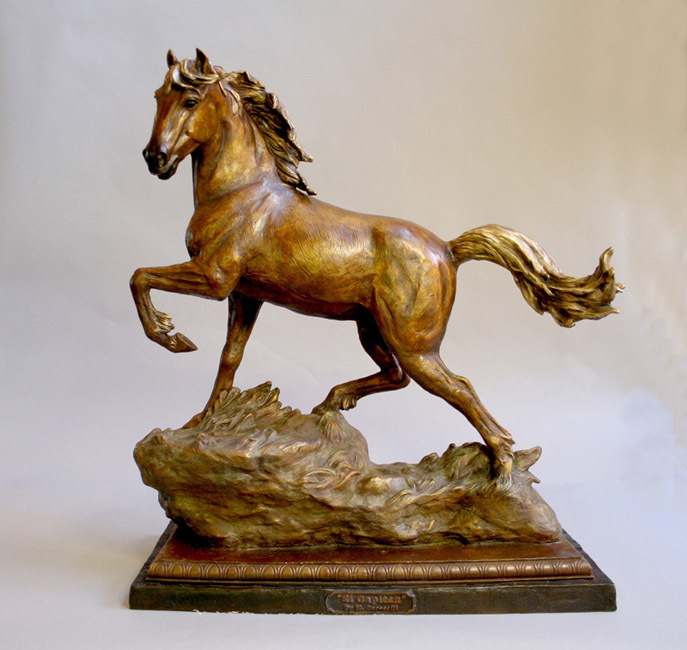 Her work is included in publicly held collections, corporate collections and the notable personal collections of Burt Reynolds, Daniel Stern, Wayne Newton, Byron Nelson, and Pat Summerall.